Volume 18. Issue 77. 28th November 2018. 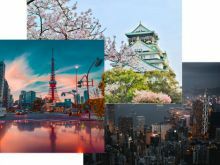 Finnair will open three new routes to Bologna, Bordeaux and Porto for the peak summer season in 2019. Finnair will fly up to 3 weekly flights to Bologna between 10th April and 18th October, up to 2 weekly flights to Bordeaux between 11th May and 14th September & 2 weekly flights to Porto between 21st June and 12th August. All three new routes will be operated with an A319 aircraft. Finnair has been awarded a 2019 Five Star Global Airline rating by the Airline Passenger Experience Association (APEX). The airline ratings are based entirely on verified feedback given by passengers. Only 9% of airlines worldwide received sufficient votes for the prestigious five-star status in 2019. This is the first time Finnair received a five-star rating from the APEX organization. Among the many development activities during this year, Finnair has renewed its business class service concept, introduced new signature menu collaborations with top chefs and renewed its meal service for long-haul economy class. 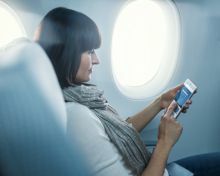 Finnair is currently rolling out the best-in-market internet connectivity to its European Airbus fleet. As of 12th Sep ’18, Finnair Business Class travellers can enjoy enhanced dining experience and travel comfort on long haul flights to Asia. Finnair’s new seat textiles and comfort amenities have a fresh and modern aesthetic that is inspired by Nordic homes and landscapes. Finnair launched a new high-speed internet service on its narrow-body Airbus fleet on European flights. Passengers tried out the connection free of charge on selected routes during the testing period from July until mid-September. 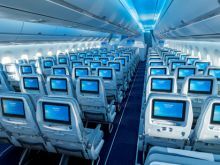 By the end of this summer about 20 aircraft were expected to be installed with internet connectivity, with the entire narrow-body Airbus fleet expected to be internet connected by summer 2019. 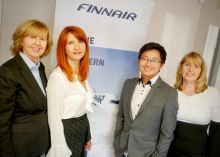 Continuing with its growth strategy, Finnair announced it will begin flying to Los Angeles, California, as of next spring. Finnair will fly from Helsinki to LAX airport as of 31st March, 2019. In addition, the new route will be Finnair’s first US route to be regularly operated with the new Airbus A350 aircraft. Los Angeles will be Finnair’s fifth US destination, along with New York, Chicago, San Francisco and Miami. The approximate flight times are expected to be 11 hours to LAX and 10 hours and 30 minutes to Helsinki. Mon – Fri 8a.m. – 6.p.m. Sat, Sun and public holidays 8a.m. – 4 p.m.